After returning to dance as an adult after a hiatus, Jennifer discovered that the lessons learned in dance class often apply to daily life too. How do I love you? 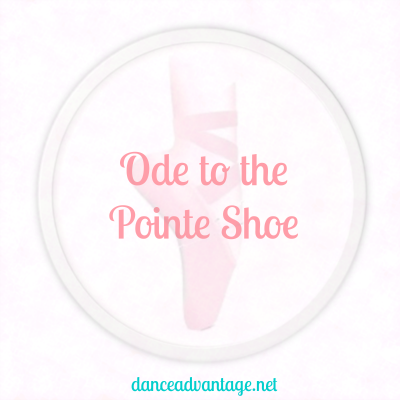 Let me count the ways… Dancers adore pointe shoes and Corina Chan puts into words and verse exactly why we love them so. After taking ballet for the first time, 50+ partner dancer, Andrew has observations to share about recognizing serious dancers, the importance of ballet, pas de deux, and being ready to adapt. Adult ballet dancers, newbies or not, enter a whole new world when they begin taking classes. There’s a lot more to learn than movements. Here are 10 takeaways from an adult beginner who has been where you are. Fellow bloggers share their “Wardrobe Wisdom” with posts on tutu-wearing teachers, classwear for adult dancers, dress code, advice for male dancers, and more. Plus, share your thoughts or links in our comments! Every class has one… or two. That student that gets on your nerves or ruffles your feathers. Teachers of adult dancers are no exception and when certain students cause stress or strain in the classroom environment, a teacher just needs to vent a little. If you are a teacher, you will recognize some of the “personalities” our anonymous author presents. If you are a student, well, we hope you don’t resemble these students.